Providing you the best range of bronze casting and lead bronze bushes with effective & timely delivery. 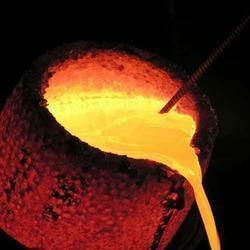 We have been engaged in the manufacture and supply of Bronze Casting. The offered bronze casting is known for the exceptional hardness in the inner and outer diameter. Our offered bronze casting is a reliable product for the rotor applications, owing to the exceptional hardness and durability. The offered bronze casting is very versatile to provide a bearing surface for the movable rotor.